Last month Sophia Bush was spotted out and about in New York doing some shopping, not only was Sophia looking lovely she was also wearing a stunning bangle from House of Harlow 1960! 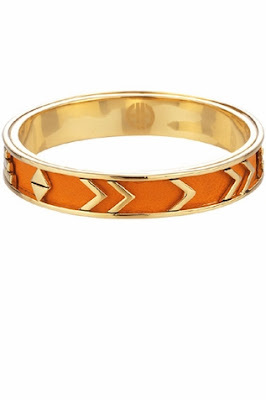 Sophia was wearing the orange and gold aztec bangle from the House of Harlow 1960 collection. I love the colour of this bangle, it is so bright and can add an instant pop of colour to any outfit!